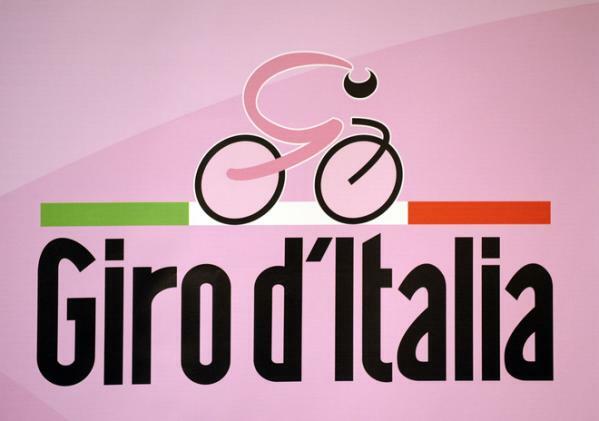 So, four days in and the Giro entourage finally hit Italian soil this morning. A massive transfer of cargo planes and charter flights took place last night and today to transfer the 196 continuing riders, probably twice as many support staff and countless more media personnel to the decidedly drier climes of sunny Puglia. Something like 500 bikes and a couple of thousand wheels were shipped by cargo plane overnight with the riders following early this morning. Whilst most of the bigger teams had their second buses already stationed in Bari to meet the riders this morning, a couple of the smaller teams were facing the prospect of the 2660 kilometre drive from Dublin to get some support staff back into the race late on Tuesday. 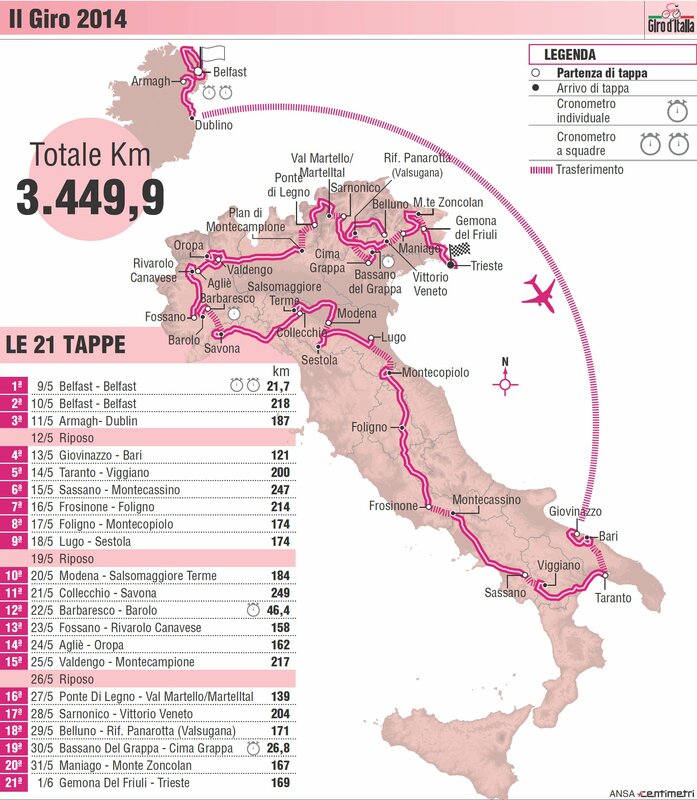 So, was all this travel and logistical heartache required for the Giro’s Gaelic adventure worth it? . If, for a moment, we ignore the weather that did blight the Grande Partenza to a certain degree, the answer would appear to be “Si” (or in Gaelic “Tha“). That is to say it was worth it. 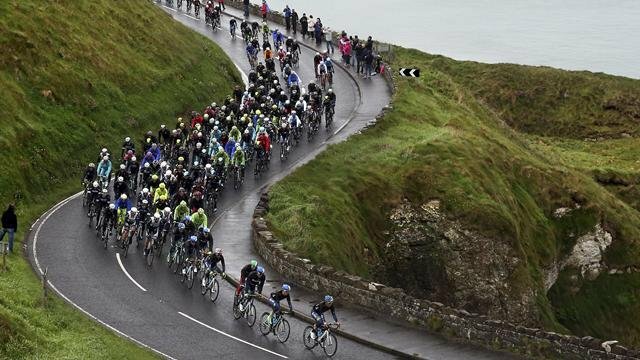 The whole of Ireland – both Northern Ireland and the Republic – put on a fine show with memorable set-pieces (Titanic and Stormont) and a level of passionate spectator support that generally only seen on the high mountain passes of Grand Tours. Crowds, particularly on the Team Time Trial route in Belfast, were 3-4 deep at minimum and were boisterous in a way more expected of people who have spent 2 days hanging out on Dutch Corner at Alpe d’Huez. 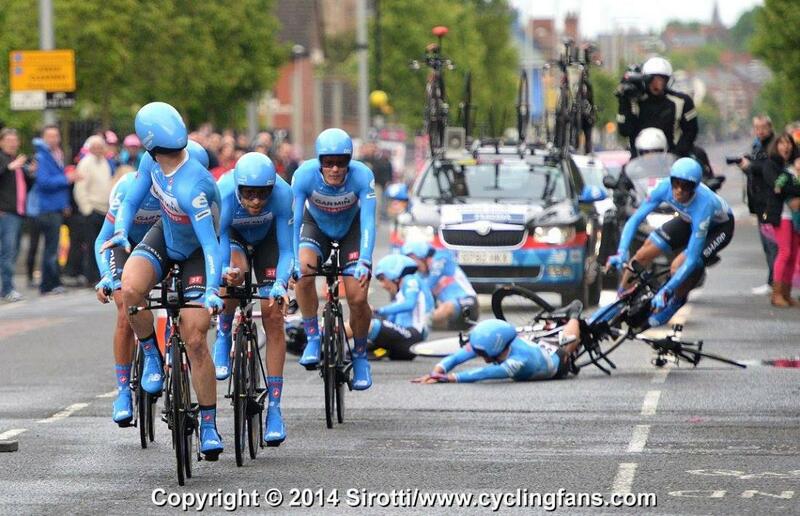 The rain certainly hadn’t dampened any spirits in Belfast – though I suspect that some spirits may have been downed in the dampness to help keep warm – and the sight of riders having to wave crowds back in a TTT is not something I’ve witnessed before. The downpour which affected the middle starters may have lacked lightning but the atmosphere was already electrified. The entire island seemed to have embraced the unifying colour of pink for the duration, applying it to every conceivable edifice and activity along the route. The sight of ten or more pink-clad jockeys rousing their steeds into a horse-race with the peloton along the beach at Carnlough on Stage 2 will live long in the memory, as will the image of a pink morph-suited waterskier from the same day and the full-size, apparently random, pink pylon from Stage 3. Sadly blue was also the colour for the home crowd looking for Irish success as they had very little specific to celebrate from the three day visit. Nicholas Roche did well enough but Dan Martin’s disaster in the rain-slicked streets near Stormont broke not only his collarbone but also many of the hearts of the South. Deserted by the luck which, as an adopted Irishman, he should be able to call upon, for the second race in a row his seemingly cursed front wheel slipped out from under him at a critical moment. Though he was at least able to remount and finish at Liege-Bastogne-Liege, this time he could not repeat the feat after crashing hard and taking down three other team mates with him. 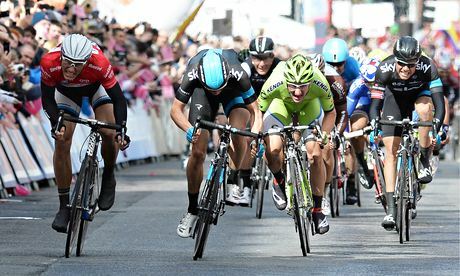 It was horrible to watch though early indications suggest that the break was clean and he could be back for the Tour. As expected Orica-Greenedge won the time trial, making the most of their experienced team of TT and track specialists, to take the first pink jersey. They gifted it to birthday-boy Svein Tuft – Lanterne Rouge at last year’s Tour – who wore it for one day before relinquishing it to teammate Michael Matthews who finished ahead of him in the Stage 2 sprint finish. Tuft, a man with huge arm muscles who spent months cycling the Canadian wilderness in his youth, towing his pet dog “Bear” in a ramshackle trailer, wore his pink with pride – though the foul weather on Stage 2 meant it was covered by the ubiquitous black rain jacket for much of the day. For once the usually irritating extra bits of leader’s colour bling were useful as his pink helmet helped identify him amongst the rain-lashed bunch. 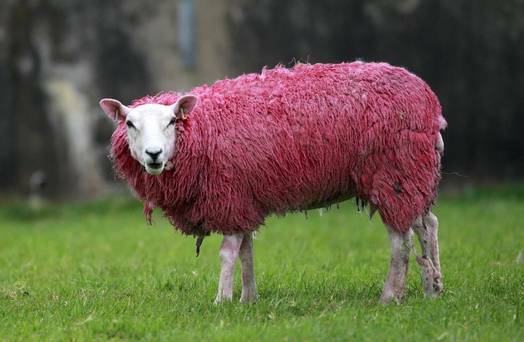 In contrast Matthews is known as “Bling” and one feels that he will show off the colours whatever the weather. Coming back into Belfast after a picturesque wade around the Northern Ireland coastline Marcel Kittel stormed to his first victory of the Giro in relative ease, outpacing rivals like Bouhanni with apparent ease. Things would get harder for him in Stage 3. The stage had been animated by Belkin’s Maarten Tjallingii’s dominance of the small breakaway that earned him the King of the Mountains jersey and more than a few nods of appreciation for his persistence. He was the last man to be caught when the sprint trains finally got rid of their foul weather cladding and started to motor in earnest. The main GC contenders had had varying fortunes on Stage 1. Evans and Roche were well to the fore with their TTT standings, as was Dario Cataldo, whose rag-tag Sky team put in a monster second half to leave them in an unexpected 5th place. 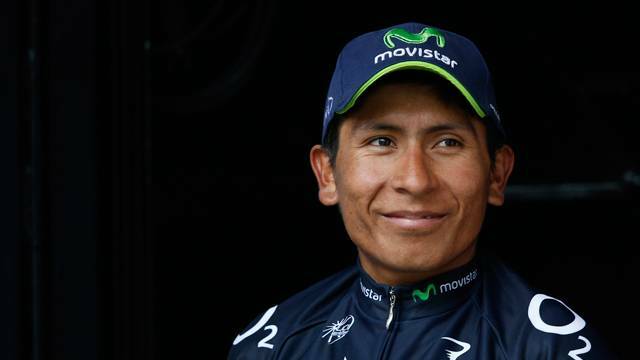 Quintana and Rodriguez in particular had poor days and head to Italy with 1 and 2 minute deficits respectively. Nothing of note would happen to any of them for the next 2 days. Powder was being kept metaphorically dry, though both Quintana and Evans, were visible at the front of the bunch, staying out of trouble. Stage 3 started in Armagh and crossed over into the Republic shortly after. More rough-hewn coastline edged with green, green fields provided a ruggedly beautiful backdrop for helicopter shots as the peloton snaked along it, pursued by yet more rain. Again Tallenghi made it into the breakaway and again he mopped up the King of the Mountains points but it was all brought back together as they approached Dublin and a technically difficult run-up to the sprint. Kittel, looking for a second win to celebrate his 26th birthday, appeared to have got it all wrong, exiting the final corner in around twelfth place with Ben Swift (Sky) and Elia Viviani (Cannondale) way up the road and already battling each other for the win. The Brit had the beating of the in-form Italian and was on the verge of sealing a great win for Sky when somehow the red-jerseyed Kittel came screaming up from behind to threaten. With 25 metres to go it still looked impossible for him but keep coming he did and he passed Swift on the line to take his second win in a row. If his Stage 2 victory had looked easy this seemed anything but the German collapsed from his bike in the post race melee and lay panting like a ragged dog for many a minute. He had given absolutely everything in a show of of speed and commitment that will send new shivers down the spines of every other sprinter in the pro ranks. And that should have been that. The craic was there to be had by at least those who weren’t scheduled to be on a flight to Italy at 8am the next morning, leaving everyone with a warm (but undeniably damp) fuzzy feeling about how sport can bring peoples together and be a unifying force in (still) divided communities. It’s a credit to both Irelands that they worked together to bring this race to their countries and it’s a credit to all of the people who turned out in such numbers to celebrate this joint event. So the news this morning of a car-bomb being found and made safe yesterday near the Stage finish in Dublin was both shocking and unwelcome. It needs to be mentioned because it is an important event in the context of bringing a big race to Ireland. Thankfully we can leave it at that and do not have to write more about it. Looking ahead, with the short summit finishes in the Apennines next Saturday and Sunday we should have a little bit of a clearer idea about how the race will develop before it then launches into the Alps the following week. For now the riders will be hoping for a bit of sunshine and some dry days as they switch direction and head North for a change. Let’s hope the heat doesn’t stultify the crowds and that Italy can keep going what Ireland has started. Forza!